Explore, create and learn on a Saturday morning with Lancaster Arts! Travel the world with Kabantu! From South Africa to Brazil to the Balkans and beyond, Kabantu throw away the rulebook to bridge countries and cultures, creating an exuberant and joyful musical world. 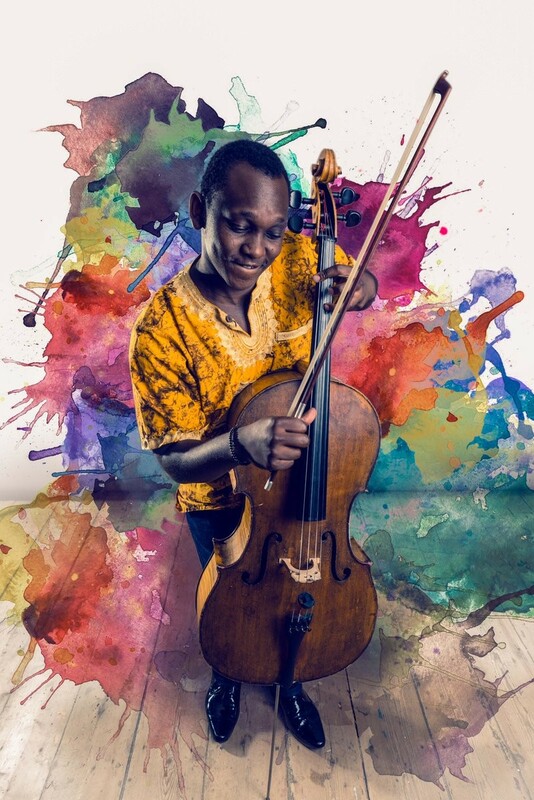 Led by Kabantu’s cellist, Abel Selaocoe, mini-maestros can learn to conduct, join in a game of musical tennis and fight a battle with drums. Come and make lots of noise and learn amazing rhythms for a super funky morning! We will meet in the Great Hall Foyer. The Café | Bar in the Foyer will be open from 9.30am. Your ticket includes an unlimited supply of Filter Coffee and Breakfast Tea for grown-ups (with the option to ‘upgrade’ to a speciality tea/coffee for £1), and juice and a party bag for children. Suitable for families with children aged 0-5years. We think we’ve thought of everything you need to know for your visit here but you can also call our friendly box office on 01524 594151 (Mon-Fri, 12-5pm) or email Harriet on harriet@lancasterarts.org. Our Saturday-morning workshops are specially designed to support our smallest visitors in their creative exploration and expression. Lead by artists, these hands-on sessions offer something for curious and creative minds – of all ages! – to enjoy. Our programme includes Messy, Noisy and Wriggly Galleries. Get a FREE drink with every ticket!